May 10, 1986, remains one of the happiest days of our lives. Our son Timmy came into this world at 12:13 p.m. But our tears of joy quickly became tears of fear. Our son had oxygen deprivation and faced some challenges. Fortunately, he survived and thrived but our biggest fear became what would he do in his adult years? How could he achieve satisfaction and maintain his social network? We only wanted him to live up to his potential, to be happy, healthy and productive. After graduating from high school, we explored the possibilities. 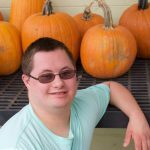 My name is Denise and I’m the Mother of Jamie, who is 35 years old and has Down syndrome. Jamie has been working at Lafayette Industries for 11 years. I’m happy knowing that Jamie has a nurturing work environment to go to each day with people who care about her and are qualified and well trained. Lafayette is a clean, safe and positive work environment with staff that really cares. When I pick Jamie up at work, no matter who walks by, the staff always shouts out a greeting – using their name – or gives a high five to them. There are over 250 employees working here, and I’m always amazed that everyone is called by their name and greeted so warmly. 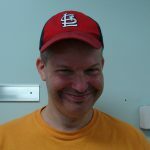 My son Jason is 41, has a developmental disability, does not read or write, but has a job. He works at BCI – an awesome packaging company. Yes, Boone Center Inc. is a sheltered workshop, but it is much more than that. It’s a great place to work; it provides dignified, meaningful employment and a safe working environment. The employees look forward to going to work every day. The CEO, staff and supervisor are all great people, who enjoy working with employees that have disabilities. On July 10, 1993, our son Tim was born. With these words, “Congratulations-you have a baby boy, and we think he has Downs syndrome,” our lives were changed. 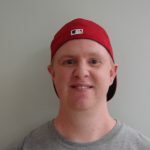 Tim has benefited in many ways from multitude of services through infancy to present day. 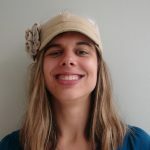 At the magical age of 18, we were faced with the scary and daunting transition to adult services. There is a hard question that is prevalent among many families we know that, when the 18th birthday arrives, is he/she prepared or not for life after high school. Nancy Geno brings a unique perspective to workshops. 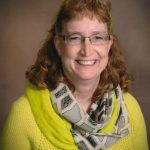 A former U.S. Marine with 20 years of healthcare experience, she retired three years ago and began serving as Community Relations Director at Valley Industries in Hazelwood. She also has a 65-year-old brother with developmental disabilities. Geno says the advantages of workshop must be seen to be understood. “The sense of pride, the self-esteem and friendships are so important,” she said. “At the end of the day, they often express a sense of completion and independence that’s awesome. 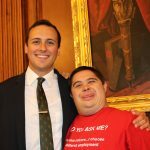 They must have that chance and the right to choose.” Unfortunately, many want to limit those choices and assume everyone with a developmental disability can find employment in the private sector. States where that has been tried have experienced over 60 percent unemployment among people with disabilities. Other issues include exploitation, bullying and even sexual violence against this vulnerable group. My daughter Alison describes her work at Lafayette with these words and phrases: Happy, Appreciated, Friends, Paycheck, Important, Help others, Supervisors teach me a lot…I feel accomplished. 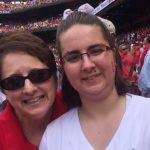 My name is Monique Stokes and I am a Special Education Process Coordinator at Laquey R-V School District in Missouri and a Board Member of the Pulaski County Sheltered Workshop. 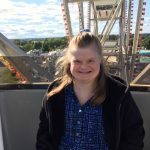 I wanted to ask you to please oppose the WIOA and TIME Act and any other legislation that would be detrimental to the continuation of Sheltered Workshops and similar work opportunities for our most disabled individuals. I am uniquely positioned to see how beneficial these work opportunities are for these very valuable members of our society. My son Nicholas Beauchaine has worked at Industrial Aid for 6 years. He has never been happier. Prior to this, he attended public school since he was 3 years old and graduated from Nottingham High School. His last year of high school was spent at Industrial Aid helping him to transition from school life to working life. We were lucky enough that he was hired right away at Industrial Aid. Change is hard for Nicholas and this transition was smooth and easy. Nicholas has never tried working in competitive employment because he would not be able to survive in this kind of setting. Our adopted son had problems from birth in 1973 but we weren't able to get a correct diagnosis of his conditions until the early 1990's, when technology had improved enough for us to get a definitive diagnosis, which revealed development disorder with different parts of his brain. Also, he has Asperger's Syndrome. These combined conditions make it impossible for him to fit into any public employment environment. We adopted our son, Marshall, when he was only seven years old. His life up to that point was sad and lacking opportunity. Not only did Marshall have special needs, but so did his mother and soon to be step-father. He had very little parenting, was not toilet trained, spoke only a few words and rarely made it to school. 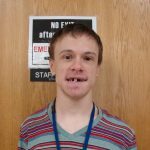 His mother sought help by letting her case manager know that she felt Marshall would be better cared for with other parents. 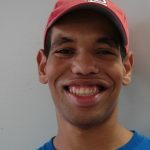 Missouri sheltered workshops provide many things above and beyond meaningful employment. They also offer structure and a daily routine that employees and families can rely on, a safe and welcoming work environment and socialization with peers. Sheltered Workshops enable individuals to be successful in employment through supports and also acts as a bridge to other employment choices. 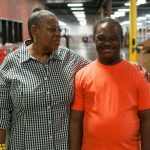 Parents of employees have strong feelings about the importance and relevance of Sheltered Workshops. Please take a moment to listen to what THEY have to say. All parents know the gut-wrenching, heart-pounding fear that can wake us in the middle of the night. That fear for our children, regardless of age, that can make it hard to breathe; the fear that makes us wake up, fists clenched and ready to fight for our children. This is the terror that is invading the homes of hundreds of thousands of parents at this very moment. This is the fear for which there is no logical need, but that has been caused by WIOA. This is the very real fear for the futures of our children. 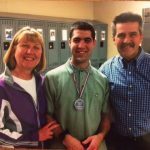 My son, Matthew has worked at BCI Sheltered Workshop since graduating from high school. Without the workshop he would either be sitting a home with someone watching him – which would not give him much of a life. My only choice will be to place him in an Adult Day Care. This would at least offer him some type of socialization but he has enough understanding to know that it is a day care and that would be very traumatic to him. The workshop gives him a since of belonging like everyone else “going to work”. Matthew is developmentally disabled with ADHA with multiple rods in his back from his scoliosis. He requires supervision, repetitive duties and even then still needs prompts to stay focused on the appropriate task. This does not allow him to fit in and have a job in the regular workplace. NO ONE would hire him.